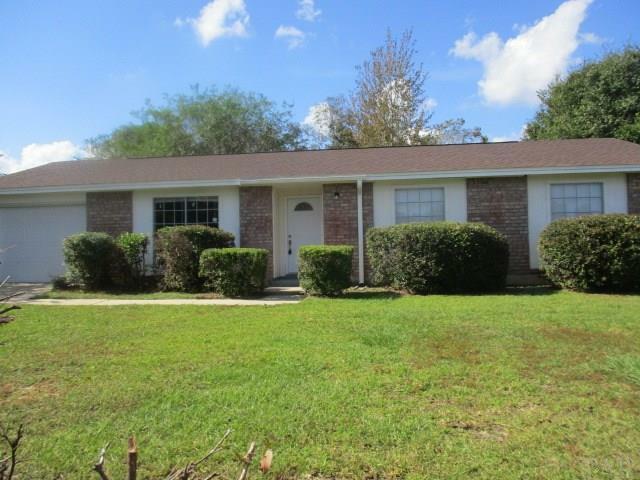 Move Right in to this Recently Renovated Adorable 3 Bedroom, 2 Bath Ranch Style Home in Great Central Pensacola Location. This Home has Tons of NEW Features to Include BRAND NEW ARCHITECTURAL ROOF! ** ** COMPLETELY REWIRED TO COPPER ** BRAND SPANKING NEW CENTRAL HEAT & AIR UNIT ** NEW TOILETS, FAUCETS, SHOWER HEADS ** NEW HOT WATER HEATER ** ALL NEW CARPET and TILE IN THE MASTER BATH!!! Look at all the NEW! This Home is Ready for a New Owner! Listing Agent has taken all of the information from the County Property Appraiser&apos;s website. While the Listing Agent does believe that the acquired information is accurate, the Buyer and/or Buyer&apos;s Agent should verify all pertinent details related to this property, including but not limited to parcel dimensions, acreage, school zone, zoning classification, land use & any other information that may affect the Buyer&apos;s decision to purchase this property.